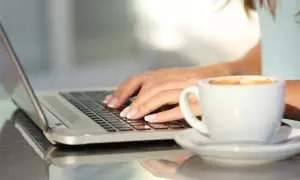 by Shannon Clark in Work from Home | 5 comments | Contains affiliate links. Do you dream of staying at home with your kids while building a business you’re passionate about? 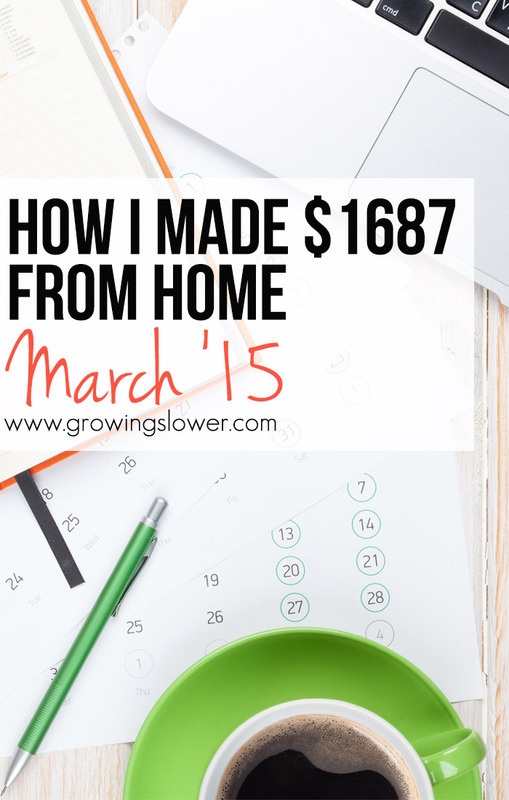 I’m sharing openly about how I earned $1,687 from home in March. I hope to encourage other moms and how them how to work from home and spend more time with their children, too! Update: In June I hit a personal record of earning $5,554 from home, mostly thanks to my blogging income. Here’s my story and advice on How to Start a Successful Blog on a Budget. Our How to Work from Home series starts today, and I am SO excited! This is a topic that I’ve been wanting to talk about for ages. Way back in 2012 I wrote a post about How to Afford to Be a Stay at Home Mom. While writing that, I learned that the average family can get really close to affording to have mom stay at home just by reducing the expenses. However, that “average” family also needs to make up about $700 in income each month to make ends meet. That deficit is what keeps a lot of moms from taking the leap to stay at home, and it’s what makes finances a big struggle for families who do have just one income. Funny enough, this is about how much I need to earn from home each month for us to make ends meet and to allow me to stay at home with the kids. So, I think you can see that this is a really important issue for me personally and for many GrowingSlower readers! To kick off this series, I wanted to share with you exactly where I am right now with my work from home journey, and how I’ve been making ends meet this month. Most importantly, I want to invite you to journey along with me as we begin this series! Back in August 2014, I started to make the transition to blogging as my main source of work from home income. There was a course starting up shortly after called Elite Blog Academy, taught by a very successful blogger, Ruth Soukup of Living Well Spending Less. I knew it was just what I needed to grow my blogging income, but I didn’t feel like I could justify the 300 bucks for the course with my current income. Another blogging friend advised that if you were to faithfully follow the strategies outlined in Ruth’s book How to Blog for Profit without Selling Your Soul for six months, then the several hundred dollars to take the advanced course wouldn’t seem like much at all. Well, she was SO right! I bought the book and started following the action plans outlined at the end of each chapter. Since then my traffic has more than tripled (341%) and my income has grown along with it (359%)! Affiliate Programs – In March, most of my blog income came from Affiliate Programs. Basically, I share a link to a product in a post or on social media, and if you click it and buy something I make a commission, at no added cost to you. I mostly focus on Amazon.com and The Ultimate Bundles because those are companies that I LOVE, LOVE, LOVE, so it’s super easy for me to authentically promote them. Ad Networks – In second place was my income from ad networks. I’m a member of a few different “ad networks”. They find companies who are willing to pay a small amount either each time the ad is viewed or each time someone clicks on one of them. These are the ads that you see to the right and at the bottom of posts. Sponsored Posts – A lot of bloggers hate doing “sponsored posts” but this is actually one of my favorites because I’m very selective about which ones I do. How it works is a company pays me to write a post about a topic related to their product. Then usually at the end of the post, I share some information about the company, possibly a review if I’ve tried their product, or a special offer or discount. I have created a couple of books and courses that are available on Amazon. Last month, I made a bit from my Etsy store. I sell knitting and sewing patterns that I have designed. This is less than average for my income from my shop, but over the years, I’ve learned that my income will fluctuate seasonally because people tend to do more knitting and sewing during the Fall and Winter. I had expenses of $338, so that makes a net income of $1349. Exenses include anything from my buying a domain name, paying for hosting, my theme, plugins. I pay my affiliates when they refer customers who buy my books and courses. I also have several other stay at home moms assistants who work a few hours each week helping me with the blog. One big thing that happened at the beginning of March was that I was accepted into the AdThrive ad network. While I won’t start seeing payments from them until May, I can already see that this will dramatically increase my ad income. In March, traffic was way up, surpassing 150,000 unique visitors. This was definitely the biggest month GrowingSlower has ever had, and I love thinking about all the moms that will be impacted in some small way by what they read here! As you can see, we are making ends meet with my income, but from here on out I want to continue to grow our income to meet some bigger goals. Specifically, we’re saving to buy a house, and we’d like to add more children to our family in the next couple of years, which of course will increase our expenses. I just signed up for Ruth Sokup’s Elite Blog Academy, so my goal is to stay on track with her 12-week syllabus and complete one lesson each week. You know that I’m super frugal, so spending hundreds of dollars on a non-necessity like a course isn’t something I take lightly at all, but I was super impressed with the wealth of knowledge Ruth had to offer in her book, and my income had grown because of it, so that I could afford to sign up for her advanced course this spring! I’m so excited to get started! I can’t wait to share more with you soon of what I’ve learned in my 3+ years as a work from home mom! I’ll see you back here next week with the next post in our How to Work from Home series! What is your biggest goals and biggest challenges with starting and growing your at home business? Share your story in the comments! I absolutely love your blog page and I want to start blogging just don’t know which direction to go I have a few ideas to put on my blog though. love your blog, came across it on Piniterest. I have been wanting to start a blog but did not know how. I have expertise in Special Education, I work as a early childhood special education, parenting issues, advocacy, time management/organizational, stress management, financial wizard (raise two daughter’s with disabilities as a single parent for 19 years), I have a wealth of information that would be resourceful and beneficial to families and professionals. Any thoughts or direction to get started? I work fulltime and part time pet sitter (great side income) looking to pay off student loan debt. Sorry about rattling on. Again, thank you for sharing your tips and experience! Oh wonderful! I am planning out my editorial calendar in the fall, and with all of the questions I’ve been getting about making money blogging, I will definitely be including a post or two sharing how to do it. Stay tuned! :) I love blogging, and love encouraging others to start sharing their stories and expertise. I’m thinking about starting a blog to supplement my income, and allow me to quit my full time job and stay home with my kids. I am currently a full time student as well so finding something that would give me more home time would be amazing. I’m a little nervous to start, earning an income from blogging seems a little too good to be true. How long did it take for you to start earning an income? How much time do you spend blogging throughout the week? 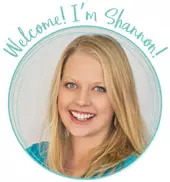 Hi Shannon, I’ve been looking at additional income to make ends meet. My husband’s job has slowing been taking away incentives and bonuses that we relied on, and I work 2 part-time jobs to help make the difference. Unfortunately we fall short every month. I’m in the process of trying to decrease our normal monthly expenses, but in the meantime I’m looking at increasing our income doing something from home in my spare time. Our youngest child graduated from high school so my schedule is less demanding. I’m interested in the blogging but I’ve tried other home-based businesses and have failed. I’m nervous about another attempt. How much time on avg do you recommend/is needed to launch and get things really rolling. I want this to work, just a little hesitant.